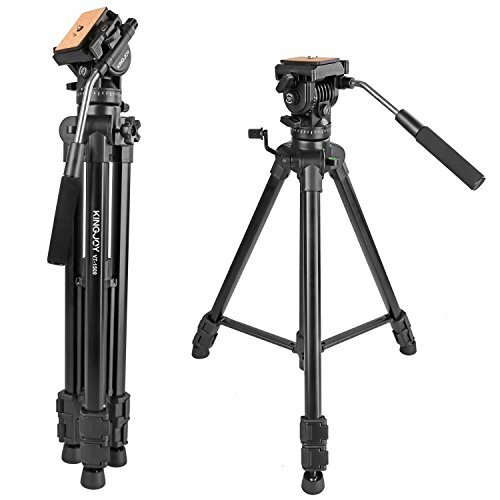 Multi-functional aluminum camera video tripod kit, ideal for travel and outdoor shooting. Non-slip rubber feet play an important role in rugged ground for stable shooting. Lightweight and foldable design will give you more convenience for storage and carrying when going out or traveling. It is a practical camera video tripod specially designed for film & video shooting, live broadcast, wedding photography and so on. The legs are made of high-quality light weight aluminum alloy, all metal parts adopt Mg-Al material. The tripod is high-strength, lightweight and stable tripod, portable and easy to operate, ideal for professional photographers.